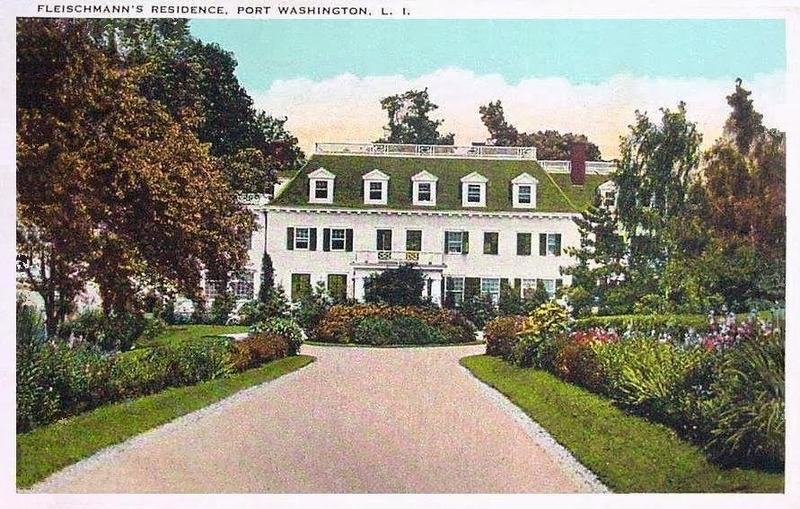 'The Lindens', the Julius Fleischmann estate designed by Augustus N. Allen c. 1910 in Sands Point with a stables building designed by James O'Connor. Fleischmann was president of Fleischmann's Yeast, yeast manufacturers, following a lengthy term by his father Charles. His sister Bettie Fleischmann Holmes resided at 'The Chimneys', also in Sands Point. Click HERE to see 'The Lindens' on google earth and HERE to see it on bing. Beautiful house...and looks pretty much untouched and intact.